Demand for exposed aggregate concrete has exploded over the last few years, and is typically associated with premium homes. There are a myriad of colour combinations available, and custom colours are common, allowing you to add to set your home apart. 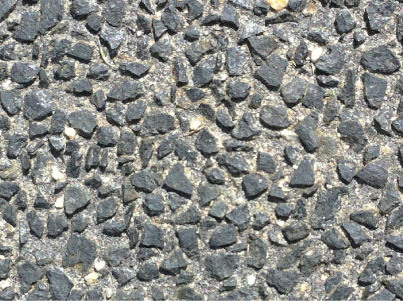 This is a hard wearing surface which provides plenty of natural grip for vehicles and pedestrians, particularly in the wet. It is not uncommon for customers to have a sandstone (or other material) paver border surround these driveways. 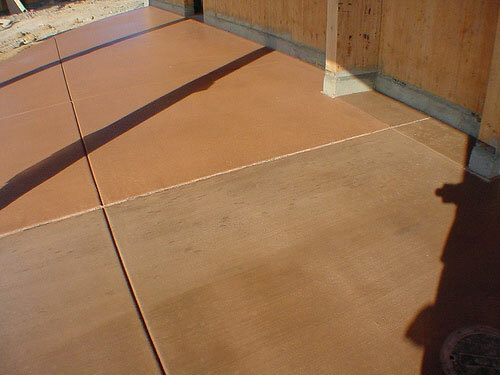 Keep in mind, this is a speciality concrete, and should be installed by professionals with plenty of experience. 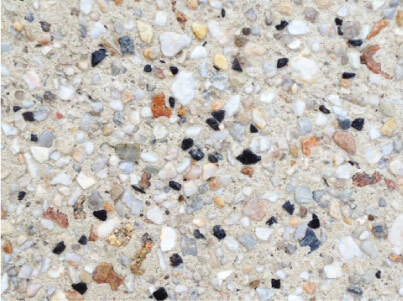 Pebblemix Concrete has many years of experience with this material, and even has a vested interest in the leading manufacturer of the exposed aggregate. 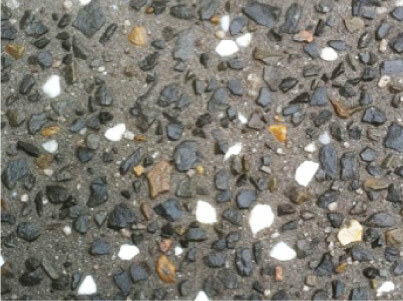 This is the standard finish that can be seen anywhere from primary schools to public walkways and footpaths. It comes in light grey and has a textured non-slip finish. 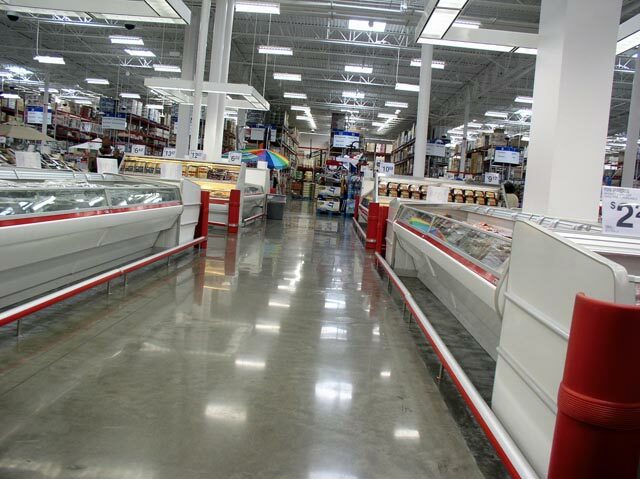 Plain concrete is the most cost effective concrete solution we offer, however, we're pretty sure you'll fall in love with our premium finishes. 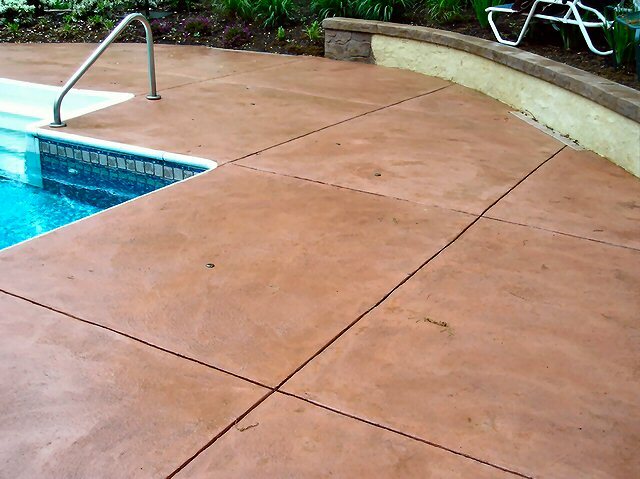 This style of concrete has been around for many years and is still a popular choice. It's hard wearing and comes in almost unlimited colours. 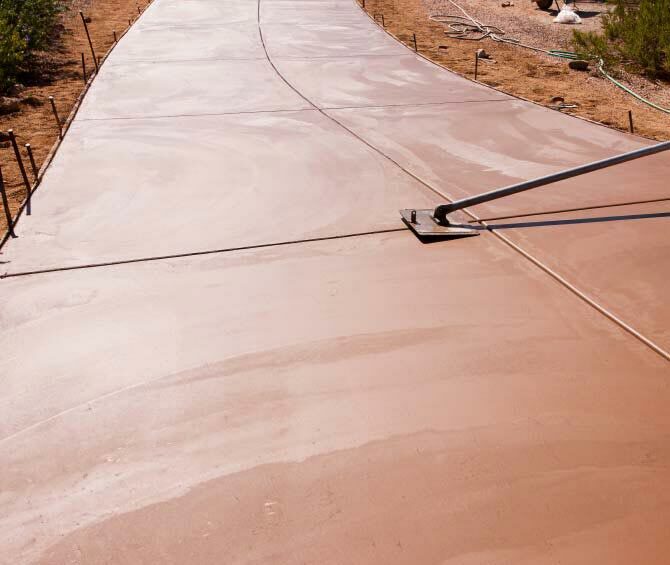 The concrete starts out as standard plain grey concrete, but an oxide colouring is added by the plant before the truck is sent to your location. This is an important point, as some concreters will simply sprinkle the oxide colouring on top of the freshly laid concrete, or worse, they'll paint the concrete afterwards. Either way, this is an unacceptable short cut that will yield poor results, especially when it comes to the longevity of your driveway. We ensure the oxide has been mixed through your concrete batch prior to laying it. 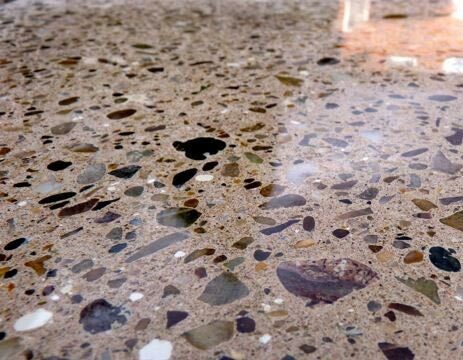 While unsuitable for outdoor areas, due to being slippery when wet, this type of concrete yields amazing results in homes and workplaces. 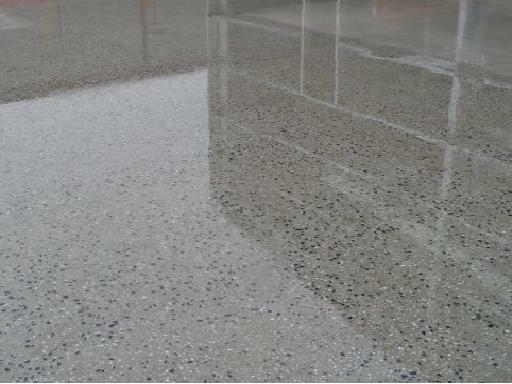 Polished concrete typically starts out the same as both coloured concrete and exposed aggregate. The difference is that a highly specialised circular sander/polisher is used to work back the top few centimeters to produce a smooth surface. The surface is then treated with a number of clear coats and is then polished again to bring up a brilliant shine. As stated earlier, this is rarely appropriate for outdoor settings, but is incredible for indoor ones. "You were suggested by a friend and I'm glad I listened to him, cheers."